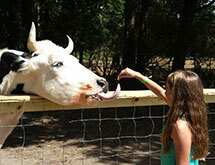 Naylor Family Farm is pleased to be able to offer a wide range of attractions that are fun for the whole family! 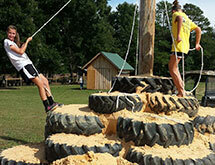 These attractions are also ideal for school groups, church groups, scouting groups, and more! 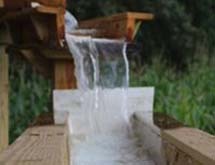 Come check out our newest attraction. 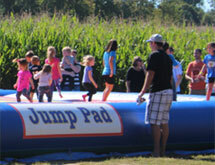 Come play on our large inflatable Jump Pad. Pick a pumpkin! Big ones, small ones, bumpy ones, white ones... 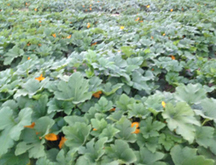 Pick your own pumpkin from our real pumpkin patch, while in season. Don't miss out on this special fall attraction! One free pumpkin with farm pass. 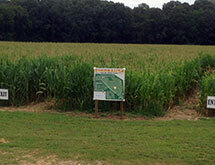 NEW Extended Hayride Trail! 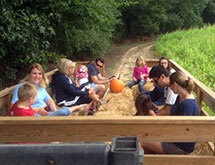 Enjoy a ride in a tractor-pulled wagon out to out Pumpkin Patch. 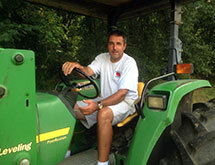 Adults and kids alike will have a good time taking in the fresh air and countryside. 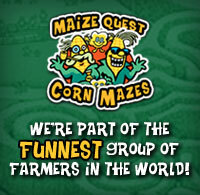 A hayride is included with the purchase of a maze ticket at no extra charge. 350 bushels of FUN! 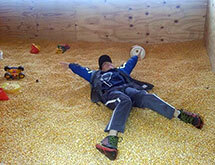 A 12x16 barn full of lose corn where your child can play and dig! New 22 foot farm tower fort! 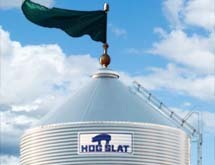 One of our newest attractions featuring 4-giant feed bins, each a staggering 22 feet tall. They are all connected with different twists, turns, and suprises a found every corner! Two groups can fight for each others battles flag inside the fort with two commercial grade foam ball air cannons! Who could resist? All aboard! 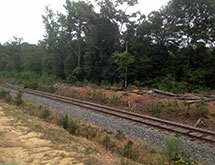 Included in the price of admission, hop on and weave and dodge along our Barrel Train track! Pick your favorite car. 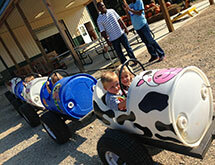 Choices include a pig, cow, race car, NC State wolfpack, UNC Tarheel car, and more! Hungry? 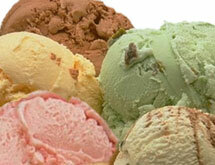 Enjoy delicious snacks and drinks from our concession stand, including popcorn and locally made ice cream. 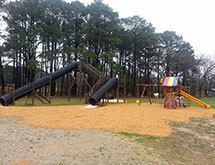 Take a break in our Picnic Area - Grab a snack or drink at our Concession Stand or bring a picnic for your family. The picnic area is conveniently located close to the Concession Stand and the Playground so you can relax while the kids play. 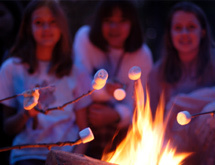 Bring your group at night and enjoy your own private campfire. After you finish the maze, relax out by the campfire in the country. Bring your group and roast some marshmallows. A campfire in the fall is a great way to spend an evening or warm up on a cool night. A real train comes by at our farm!